If your organization works with many databases and in case of need to manage user accounts or apply a restriction policy, all these and other more powerful features can be adjusted in the TeamDesk Enterprise edition. Add your logo and use your company name instead of "My Enterprise" (such as "My NEWsolutions", for example) for your Enterprise edition account. Administrators fully manage user accounts, enable or disable access to a particular database, apply a restriction policy, etc. Only invited users can log in to the Enterprise Edition, therefore each user has to be invited to the Enterprise Edition by a database administrator. Enforce a corporate data security policy by creating an authorized IPs list. Login attempts from unlisted IPs addresses will be denied. 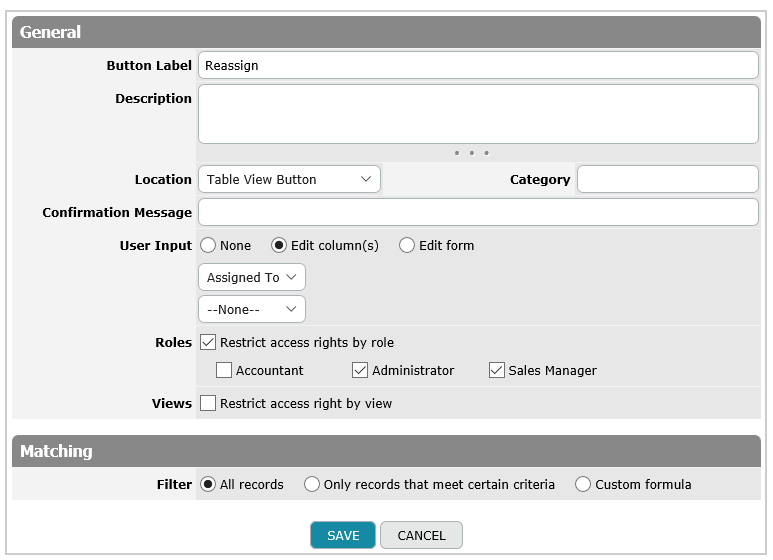 Set up TeamDesk to match up company standard password policies across all TeamDesk user accounts and databases.